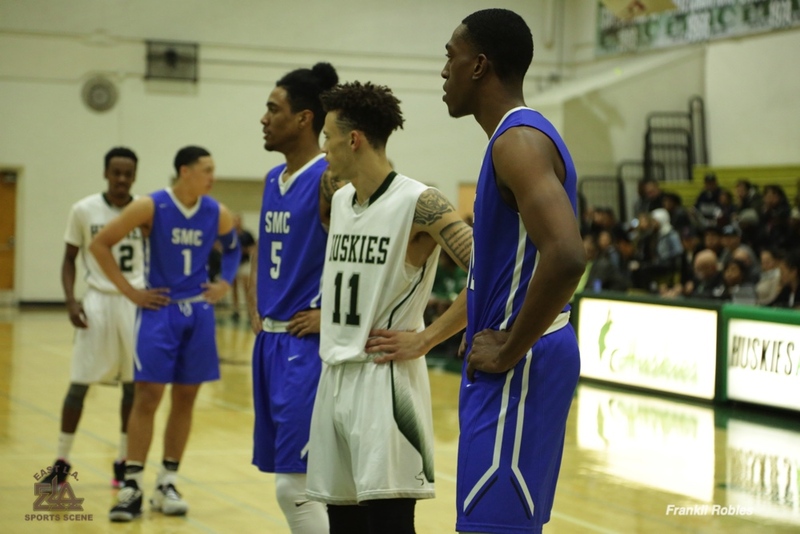 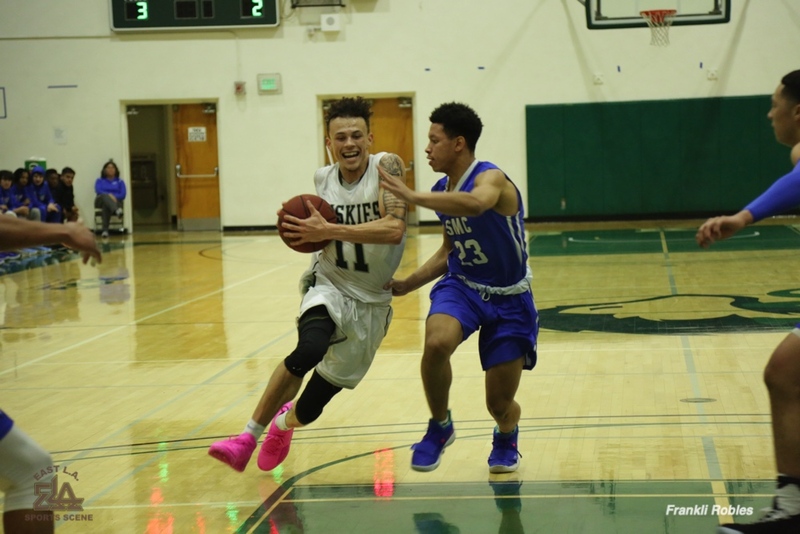 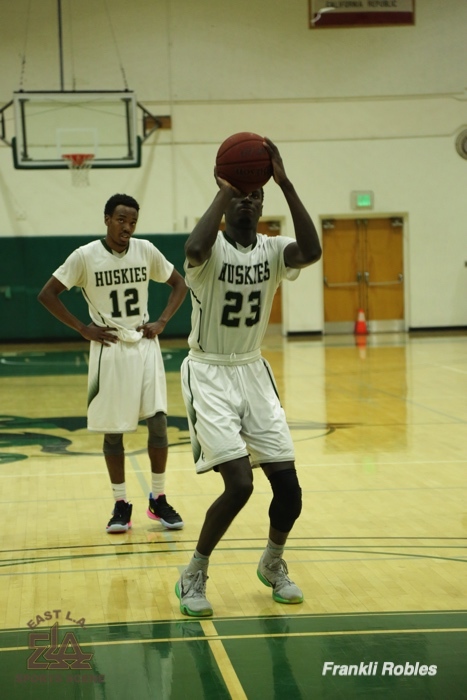 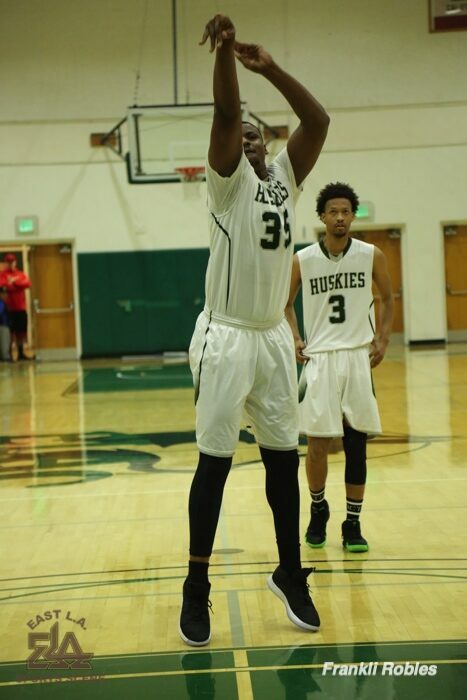 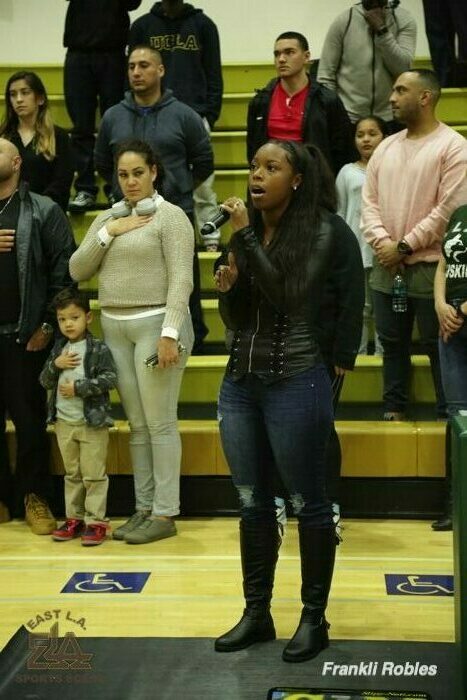 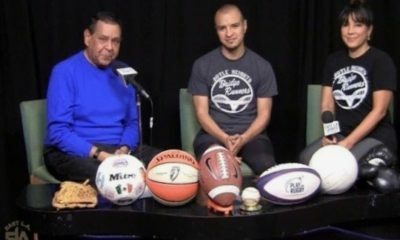 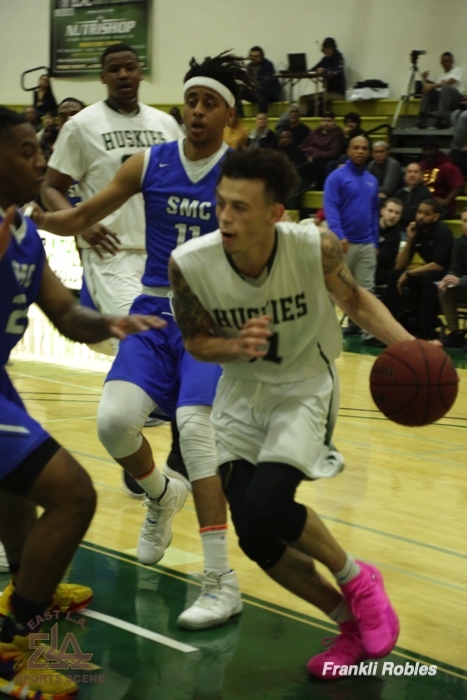 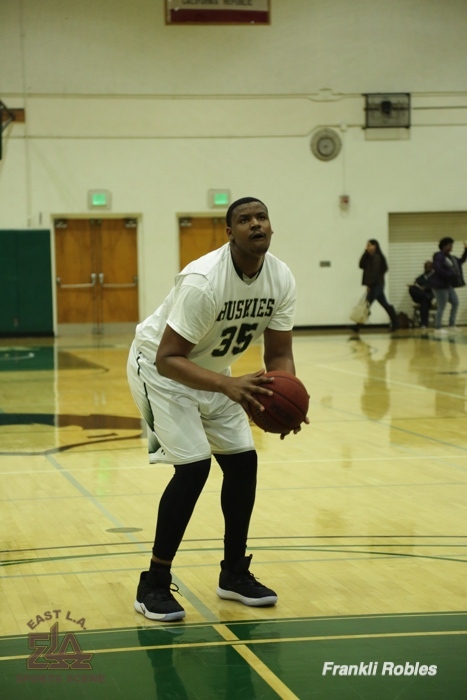 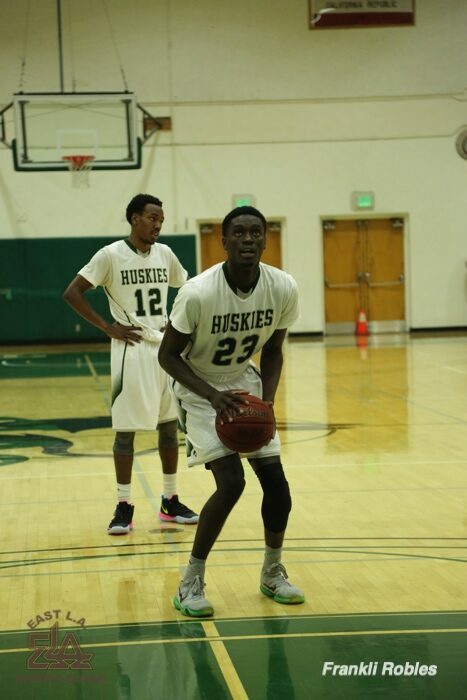 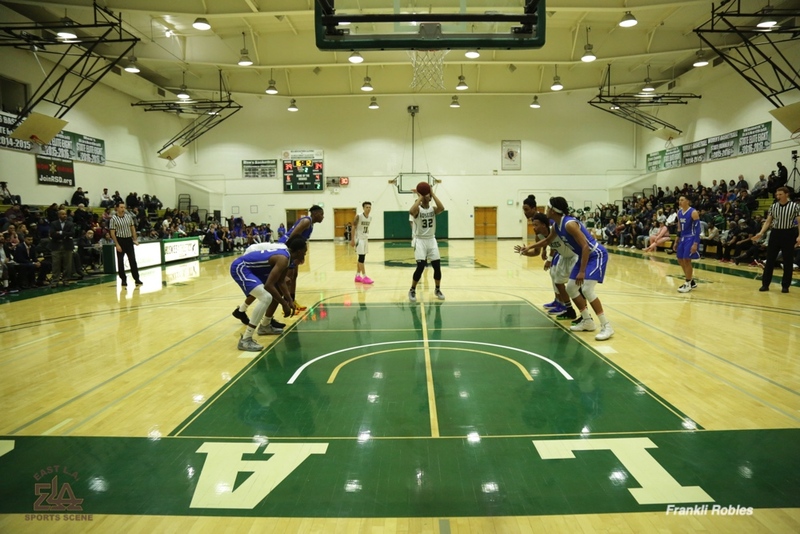 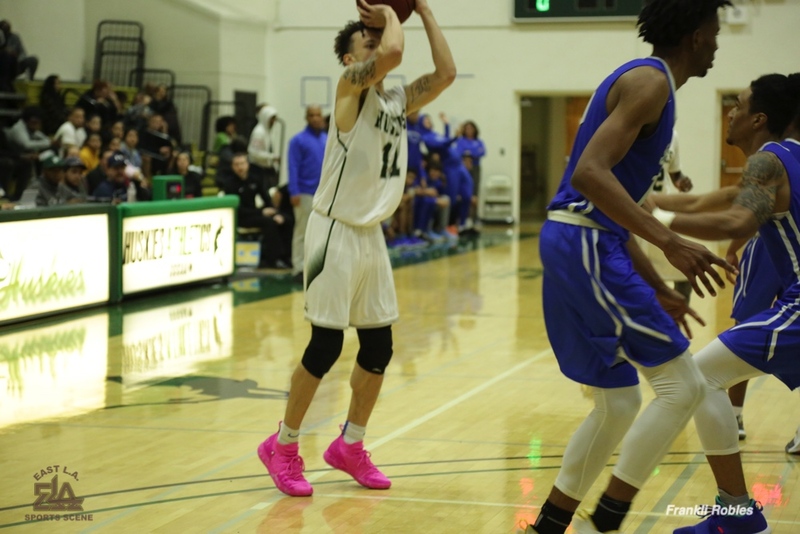 (East Los Angeles College)—The #2 seeded East L.A. College Men’s Huskies basketball team (24-5), and South Coast Conference (SCC) Champions, lost a huge chance to continue their journey to the CCCAA’s State Tournament Championship rounds as they lost a close 2nd round playoff game to the visiting Santa Monica College Corsairs, (63-60), on March 2nd. 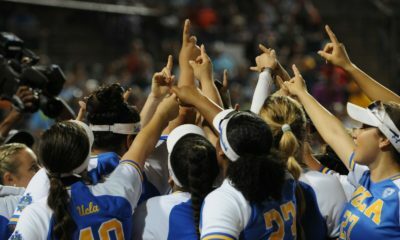 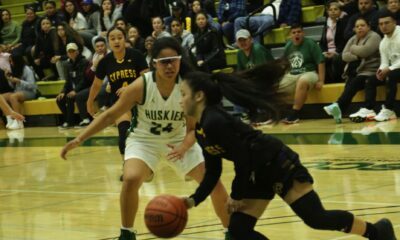 The Huskies took their defeat extremely hard as the underdog, Corsairs, came in to the playoffs as the #13 seeded team. 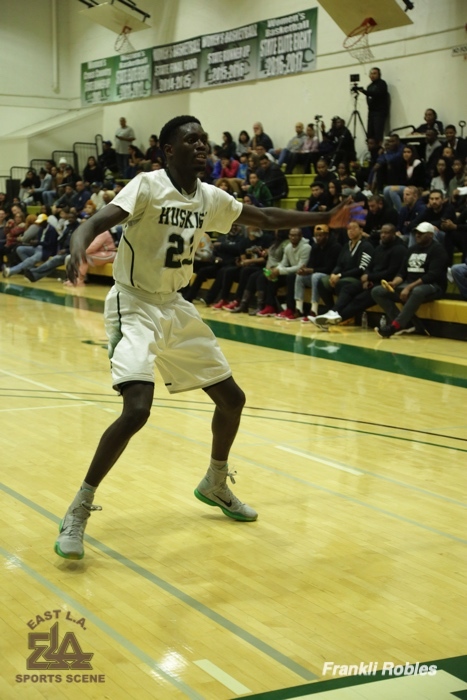 Game Summary: Head Coach John Mosley’s team enjoyed a single digit lead for most of the game, as the Huskies played true to the form that put them in a high seed category. 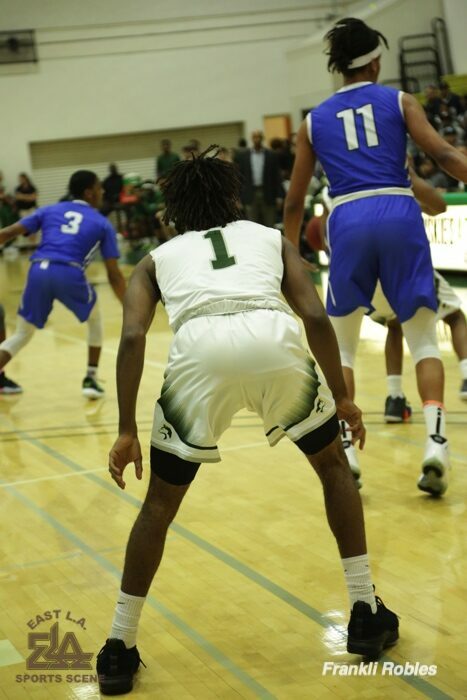 Solid guard and perimeter play by starters Alec Hickman, Darius Henderson and Deshaun Highler kept the team offense and defense in sync. 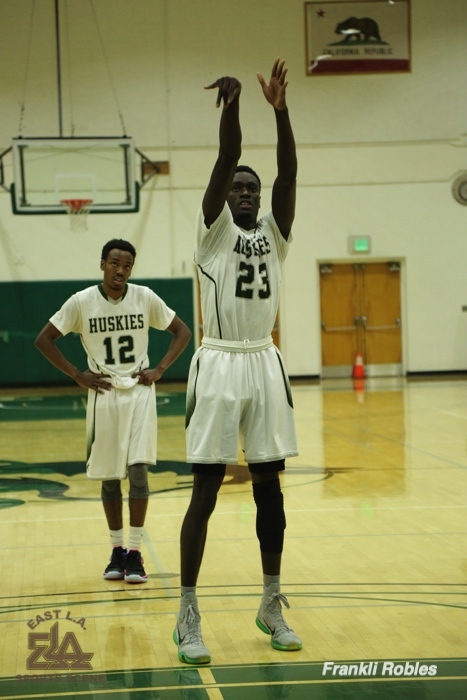 The excellent front line play of the other starters, Solomon Hunt, and Babakar Thiombane meshed well for the unit. 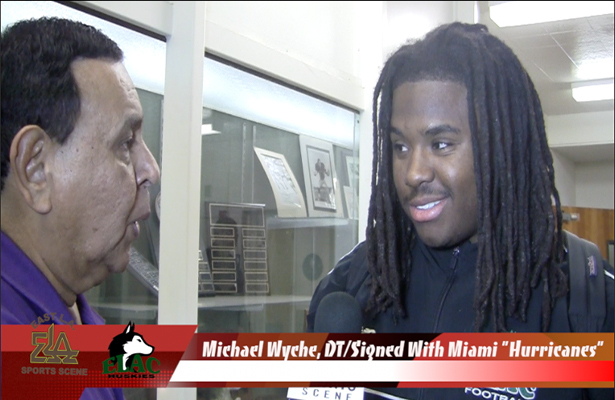 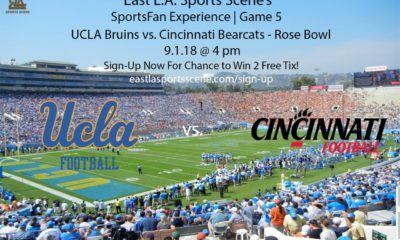 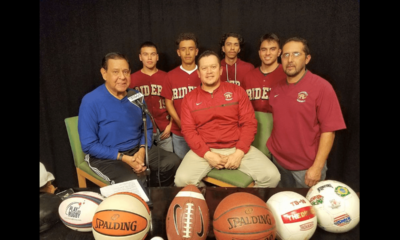 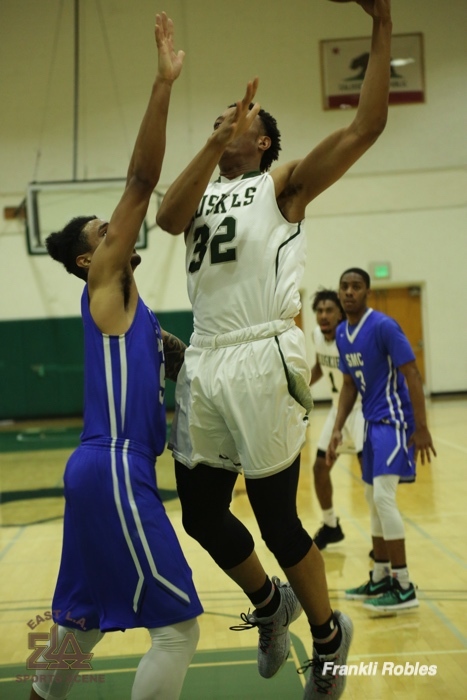 And, when Coach Mosley had the occasion to play his reserves, they responded capably, especially with the presence of power forward, Malik Muhammad. 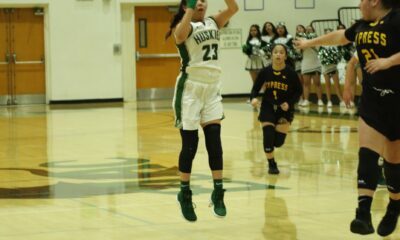 The first half ended with a four point lead for the Huskies, (32-28). 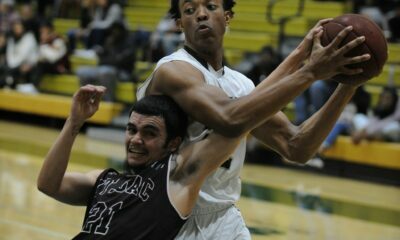 It was a back and forth type of game for the first 10 minutes of the second half, but with 10 minutes left, the Corsairs breathed some big hope into their chance of pulling off a big upset when their reserves came to life, and to the rescue, when point guard, #22 Chastin Mouton and small forward, #2 Mekhi Kimble started hitting key shots to cut the gap to just 2 and 3 points. 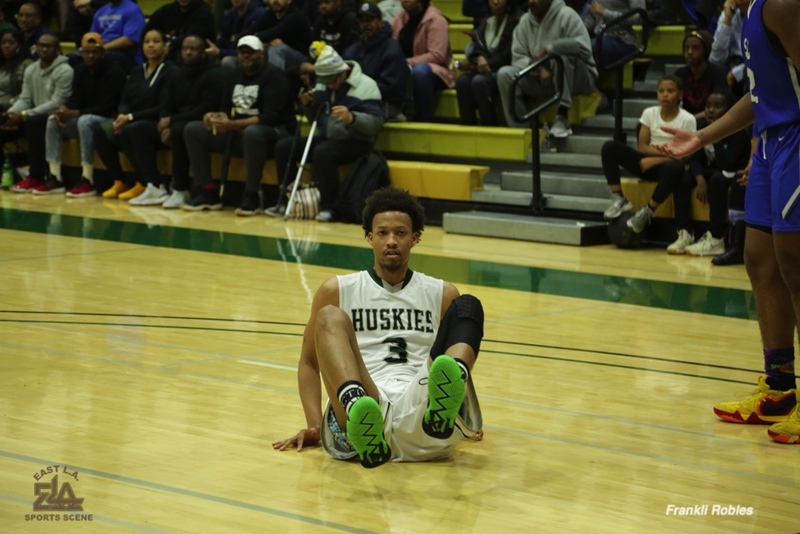 Meanwhile, the Huskies offense hit a slump during this most critical time frame. 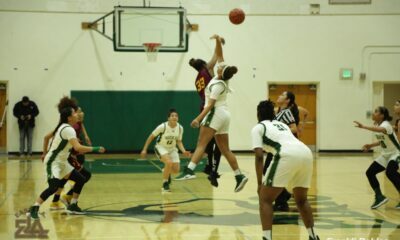 They took a precarious 1 point lead at the 1 minute mark, (60-59), but the Corsairs tied it at (60) after a made free throw. 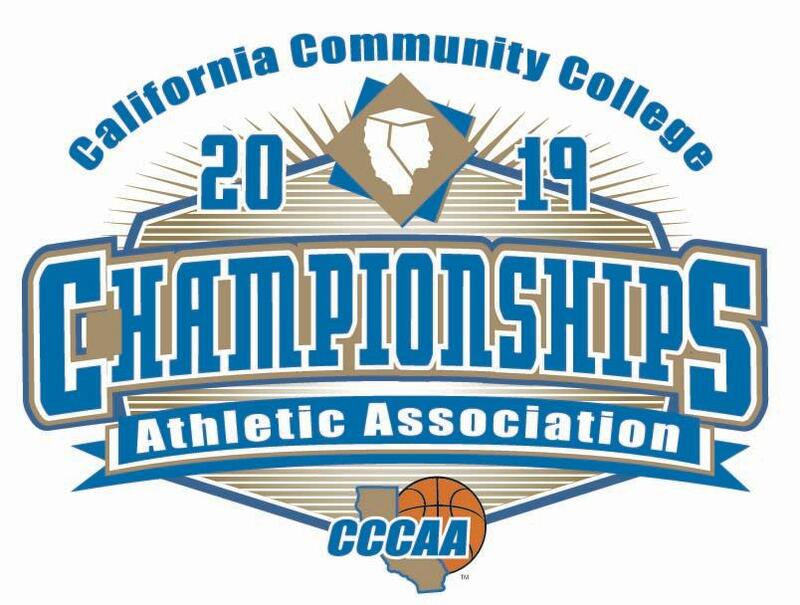 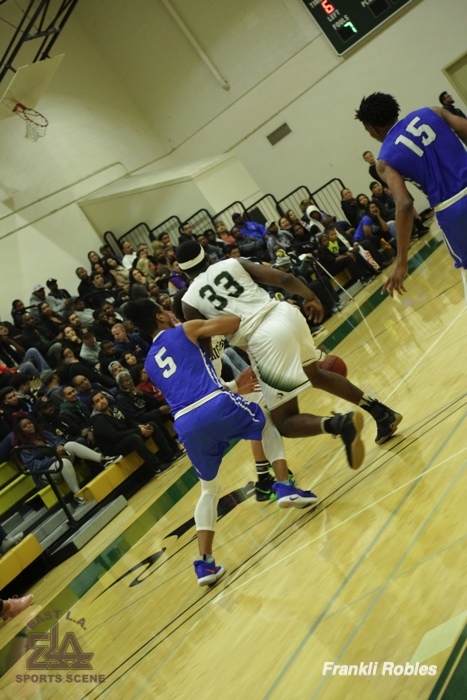 Then, after a missed 3 point shot attempt by ELAC with 11.1 seconds left, the Corsairs quickly pushed the ball up-court and with just (6.5) seconds left in the game, reserve forward, Kimble buried a deep 3 pointer from the left corner, giving Santa Monica the lead at (63-60). 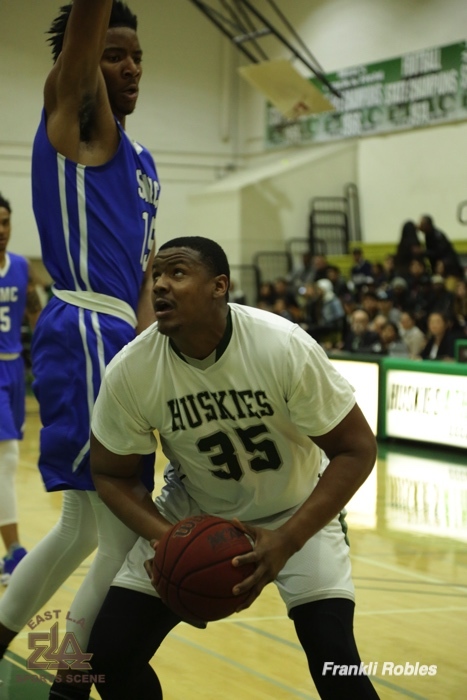 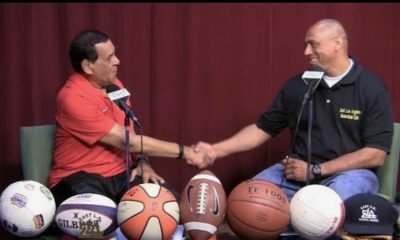 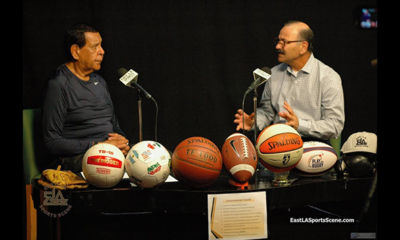 Head Coach John Mosley then stopped the clock when he called his last time out and drew up play from the Huskies back court, which eventually put the ball in the hands of their wide-open shooting guard, Levelle Zeigler. 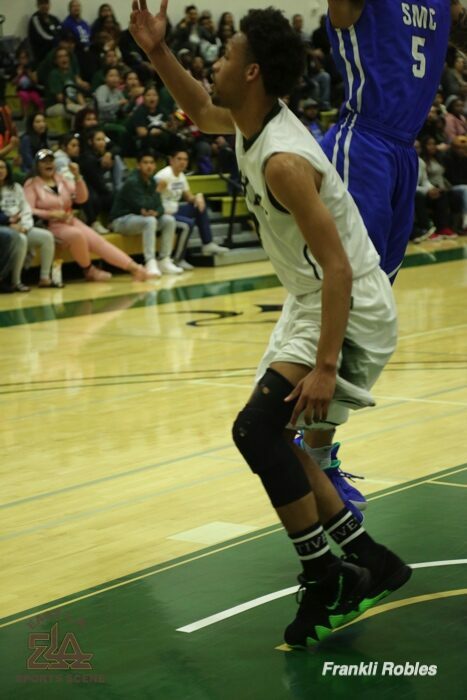 He had a clear look at the basket as he lofted up a game-tying 3 point shot attempt from the right side, but unfortunately, it was a bit too long and bounced off the back of the rim as the final buzzer sounded to end the game. 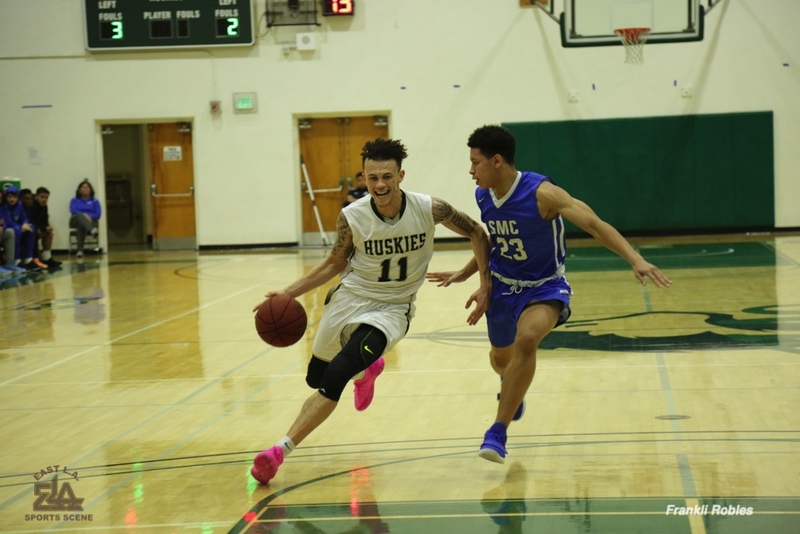 Of Significance….While both teams matched up equally in terms of personnel, including size and depth of rosters, the most damaging team statistic that impacted the Huskies was their unexpected free throw shooting percentage, just 14-29. 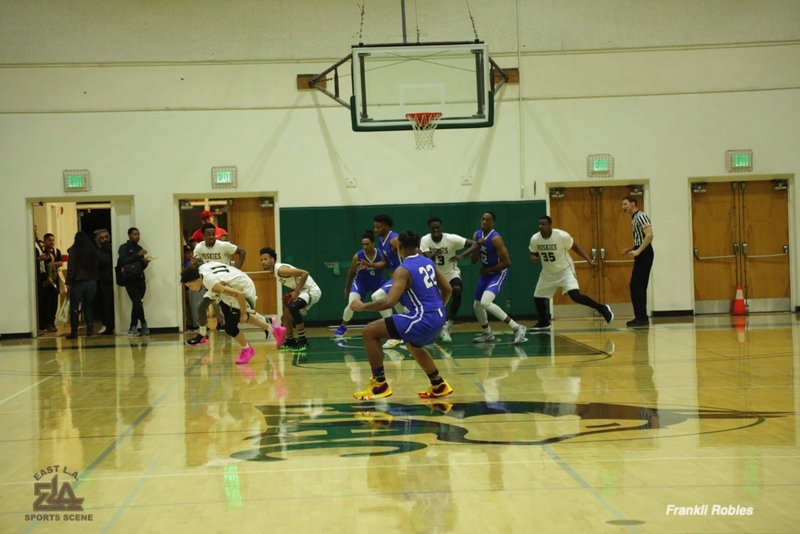 Nearly all other statistical aspects of the game were equal…field goal shooting percentages, steals, turnovers, assists, etc. 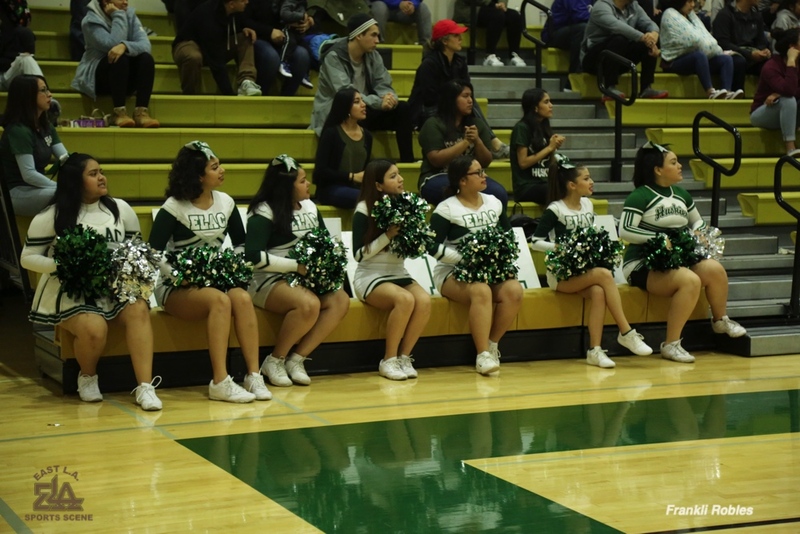 The other significant differences in the final game stat sheet were Santa Monica’s bench scoring, which contributed (22) compared to ELAC’s (17) and their advantage in total rebounding numbers, (40-31). 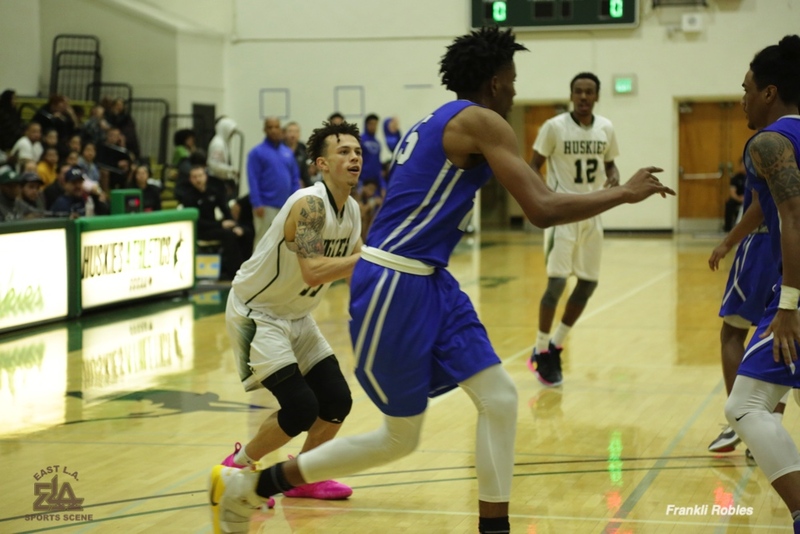 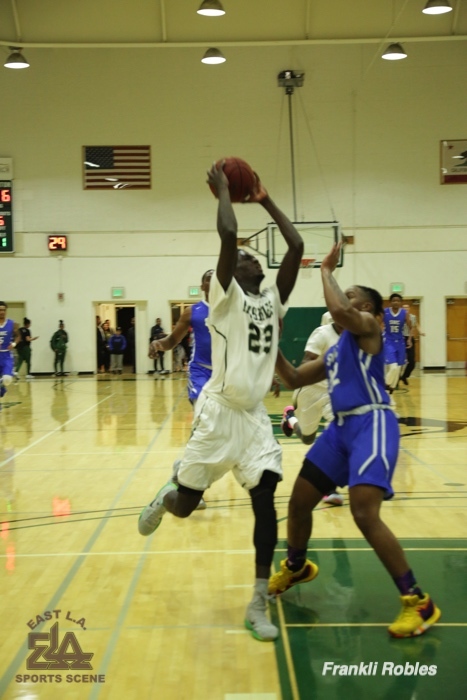 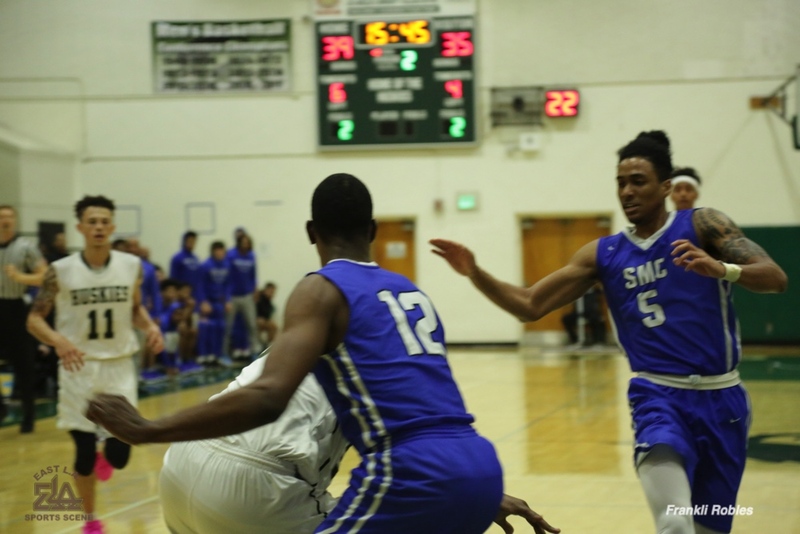 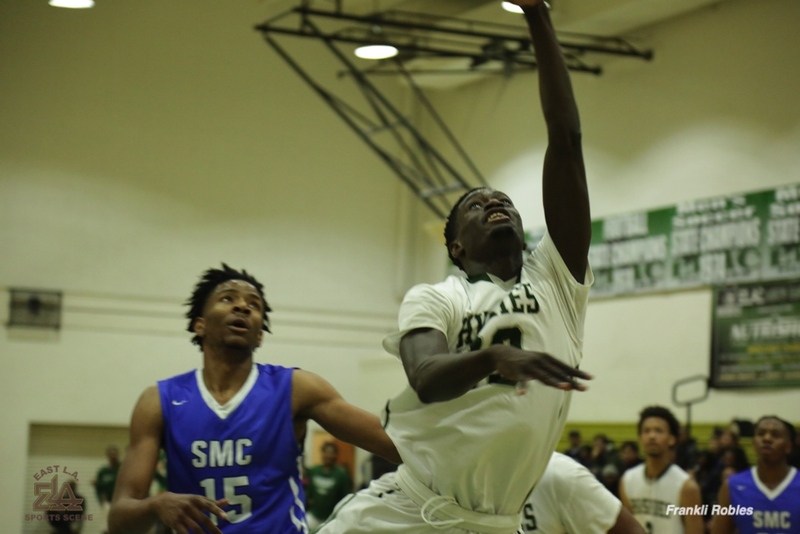 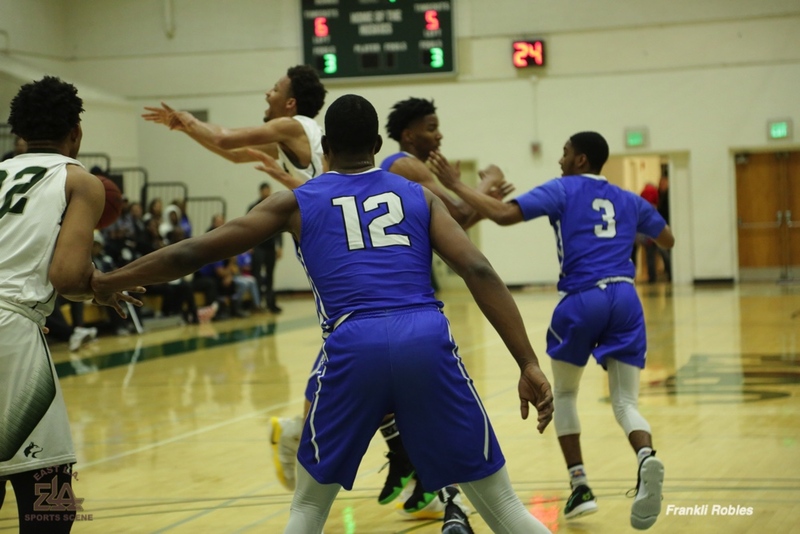 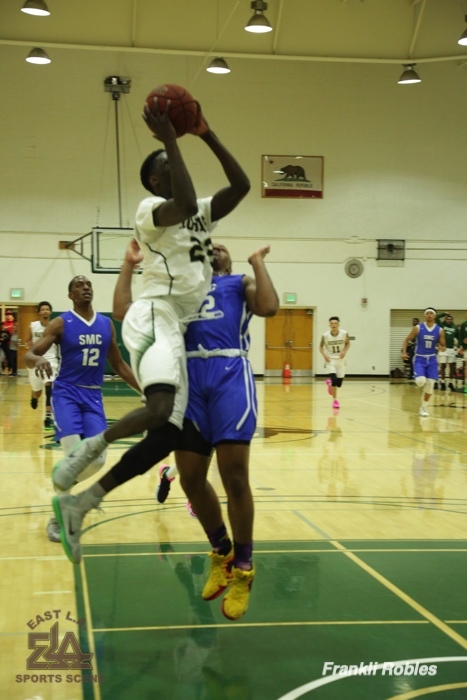 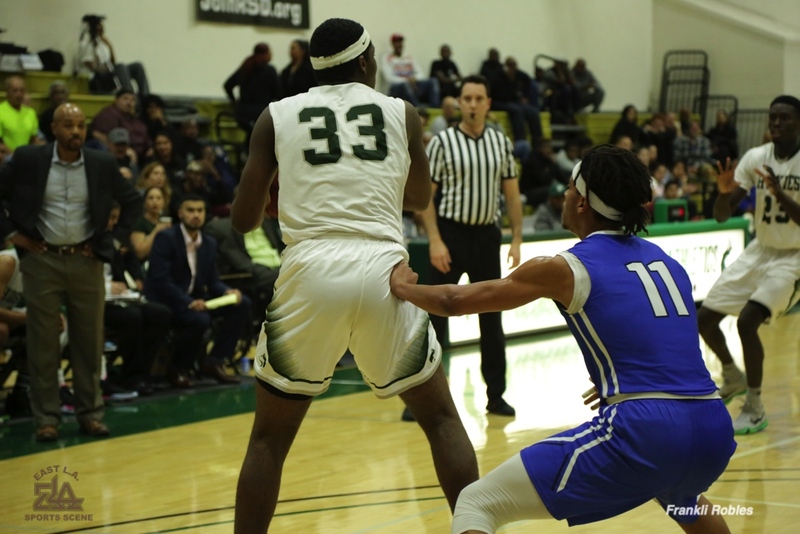 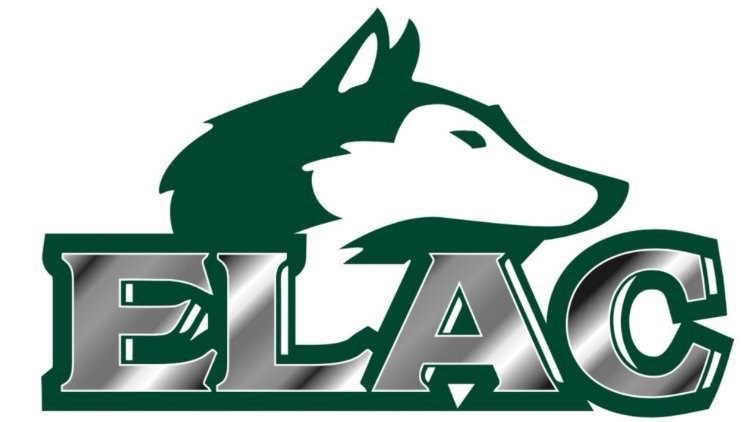 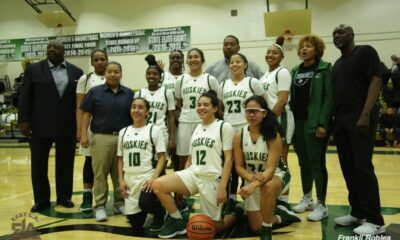 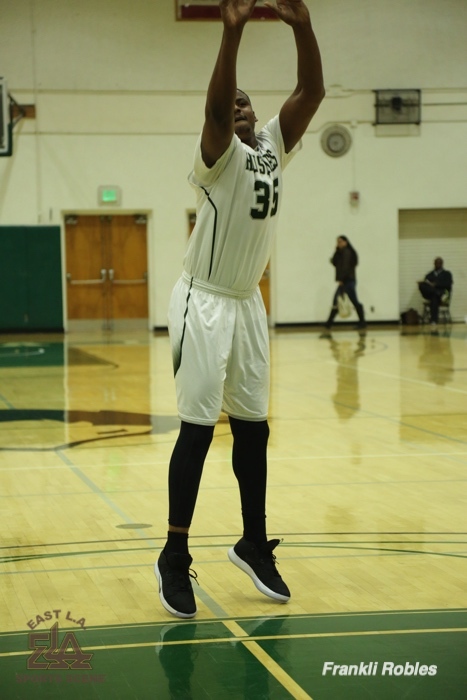 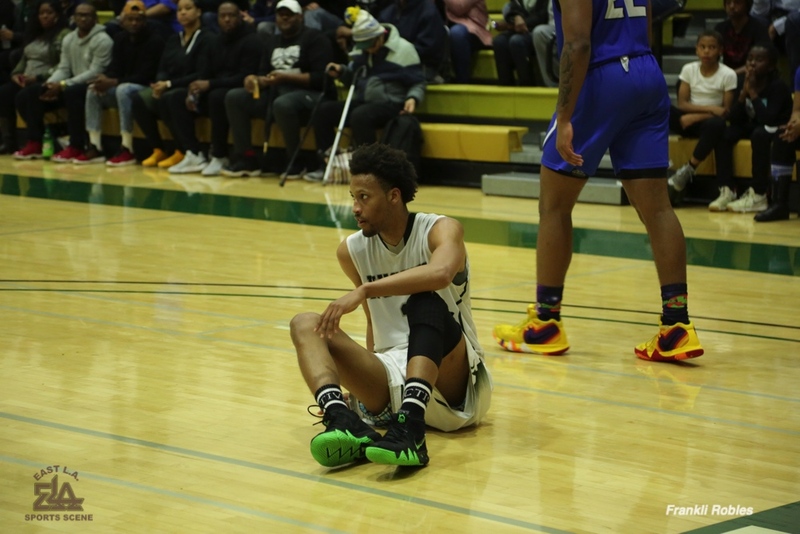 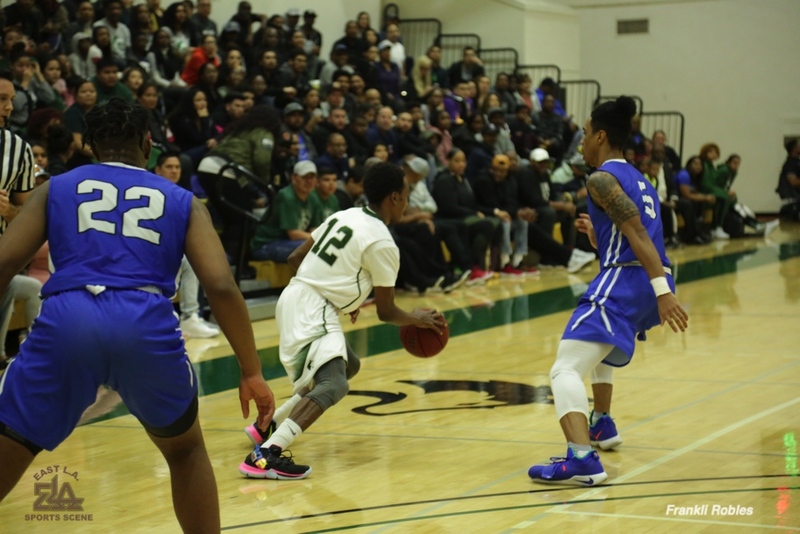 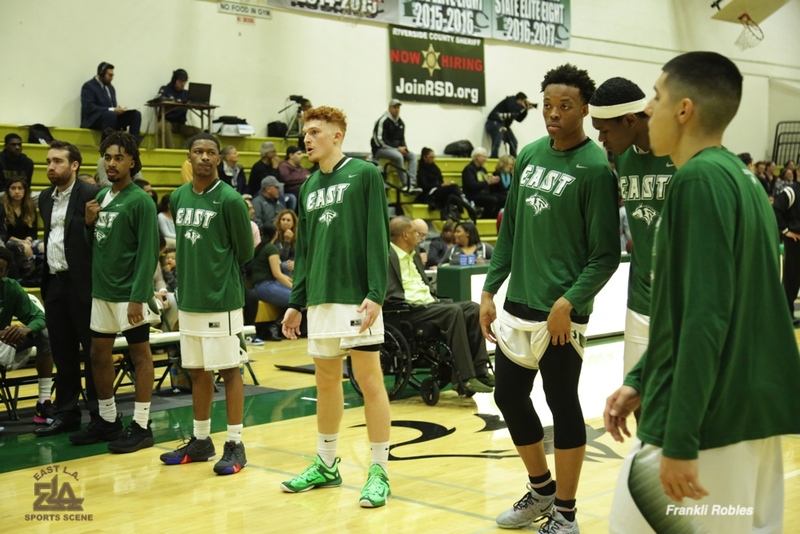 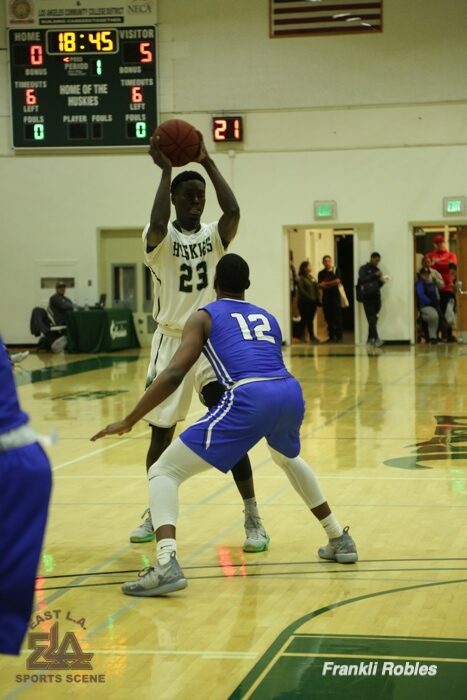 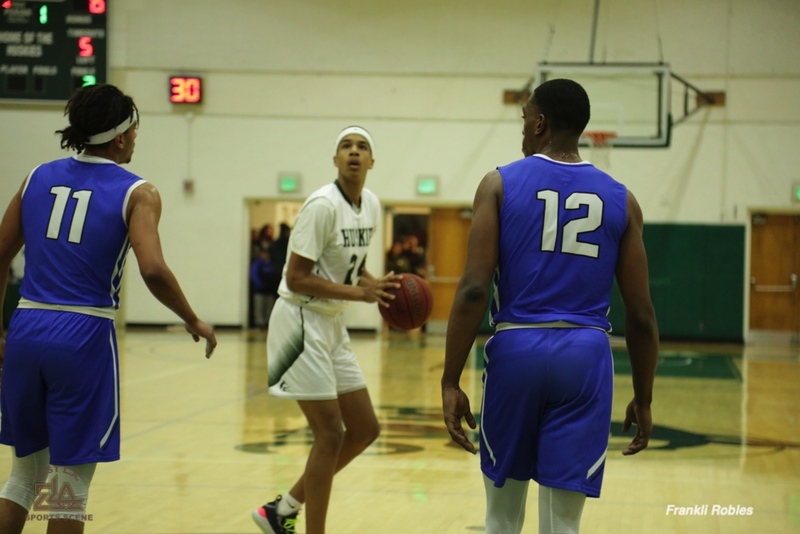 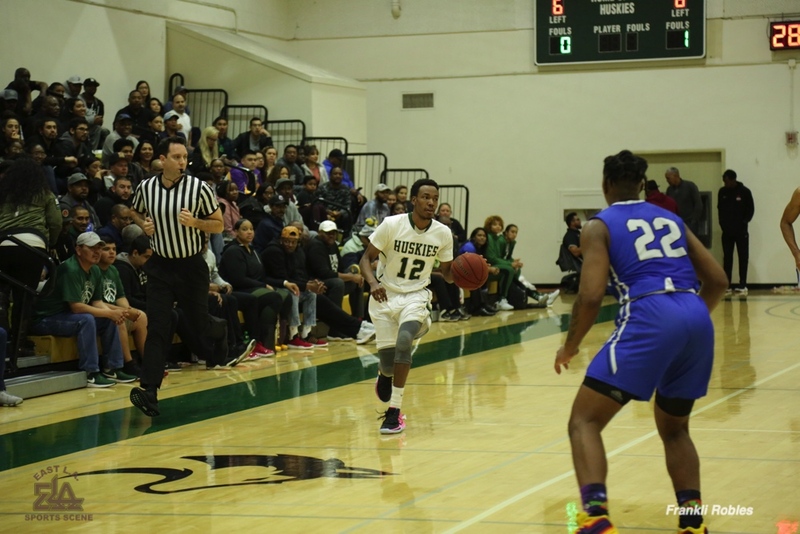 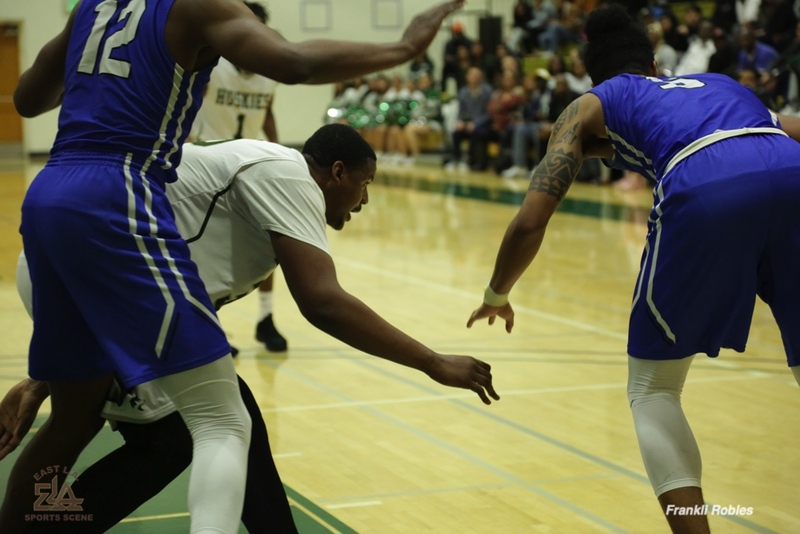 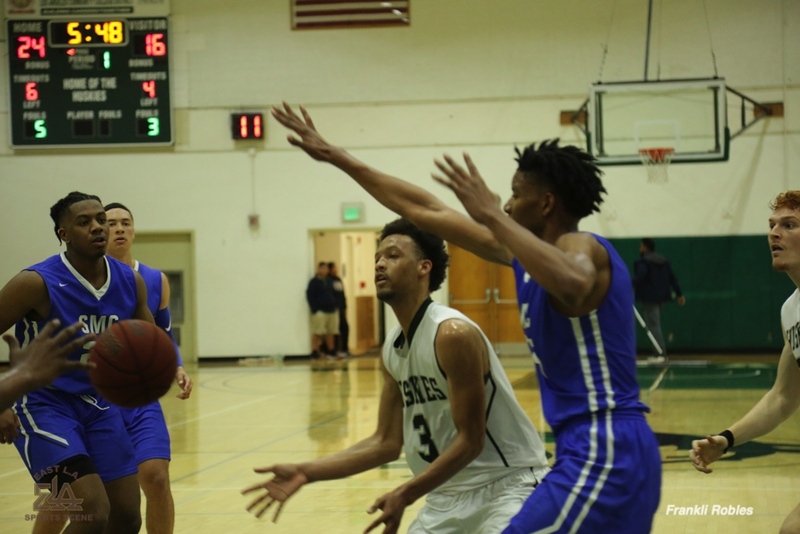 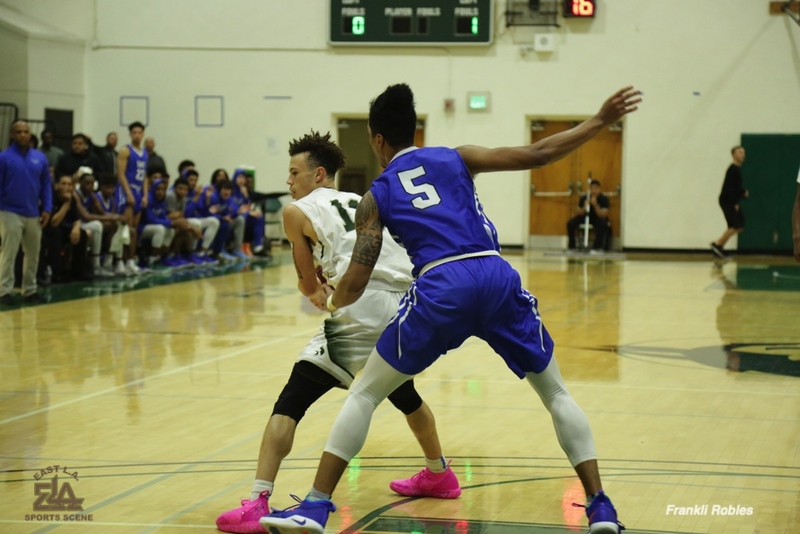 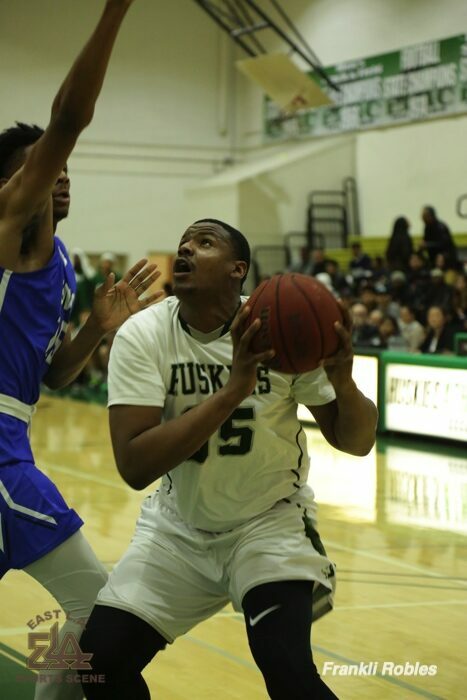 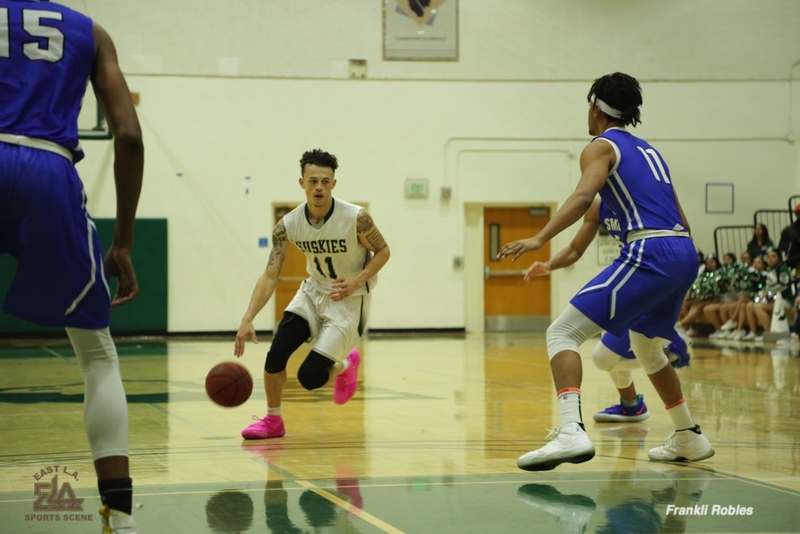 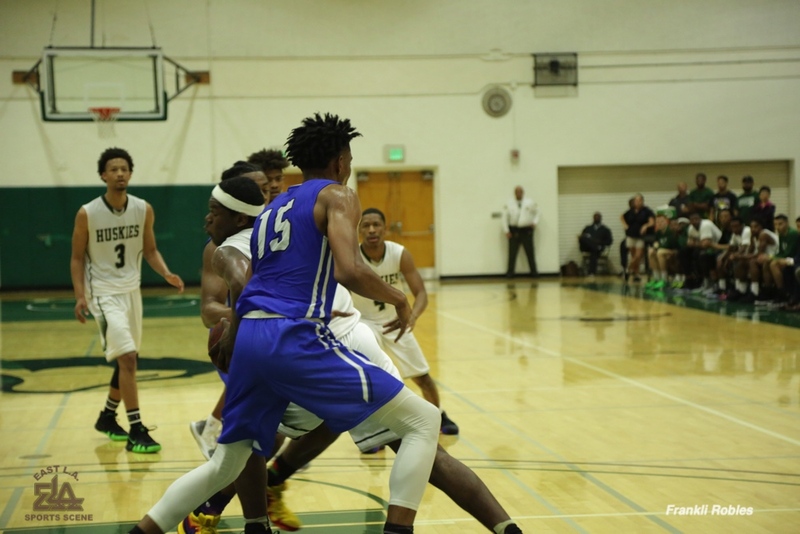 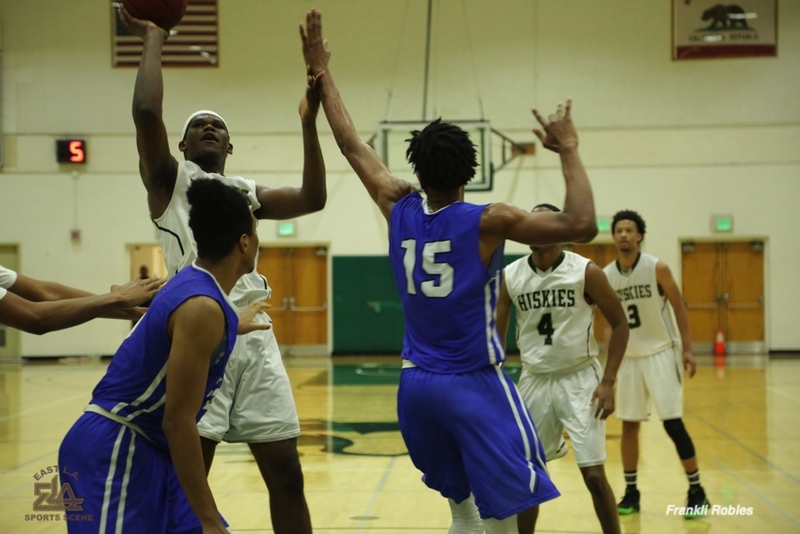 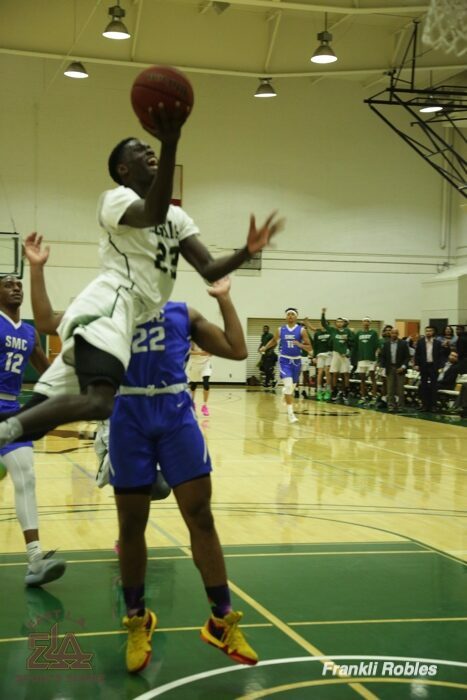 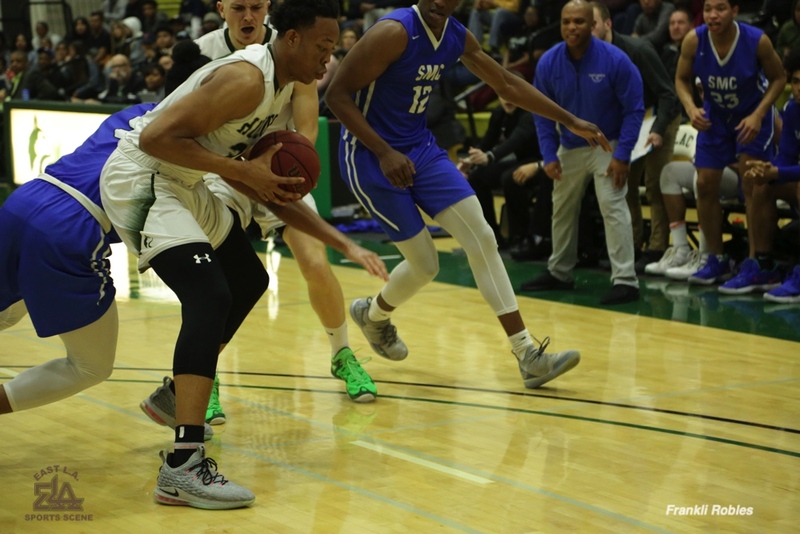 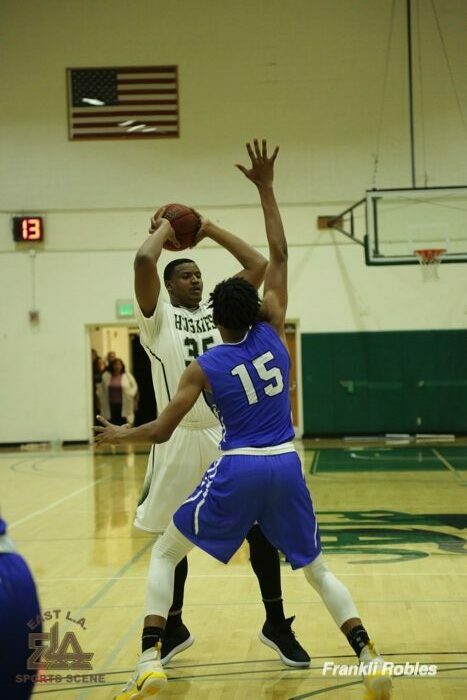 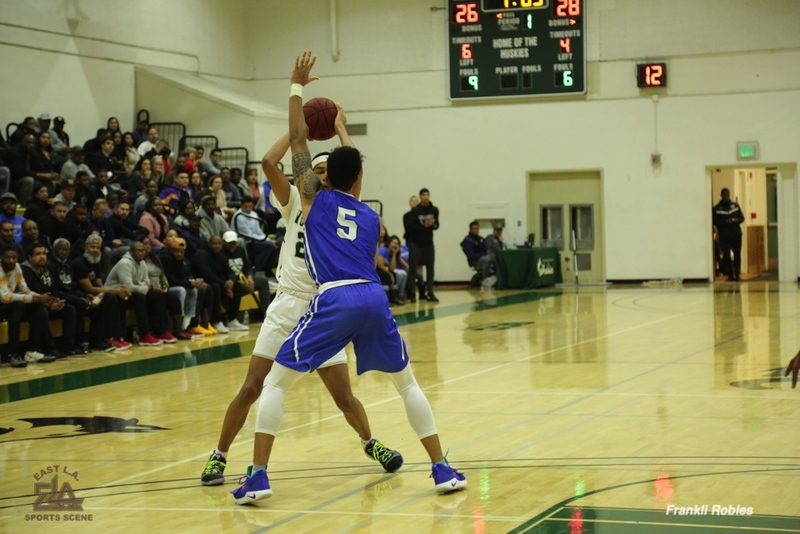 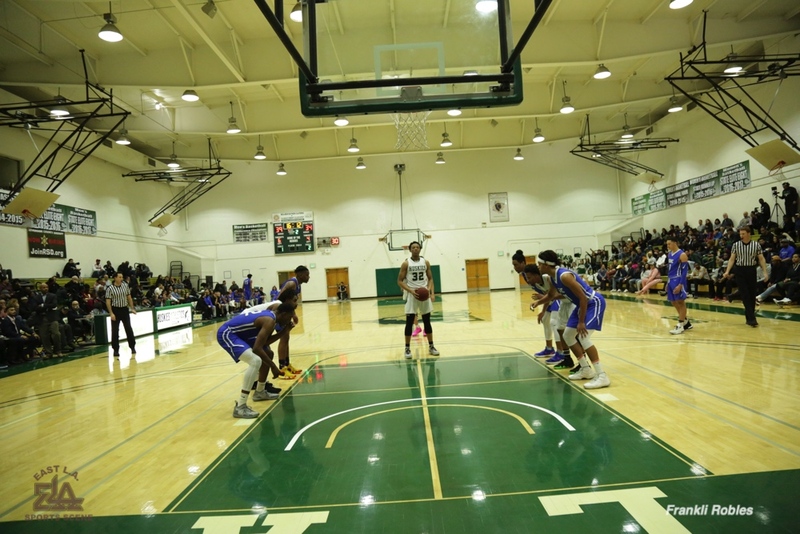 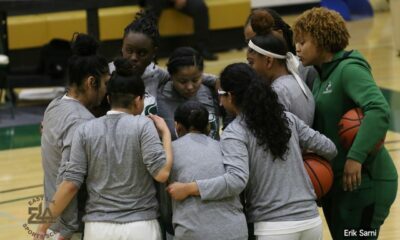 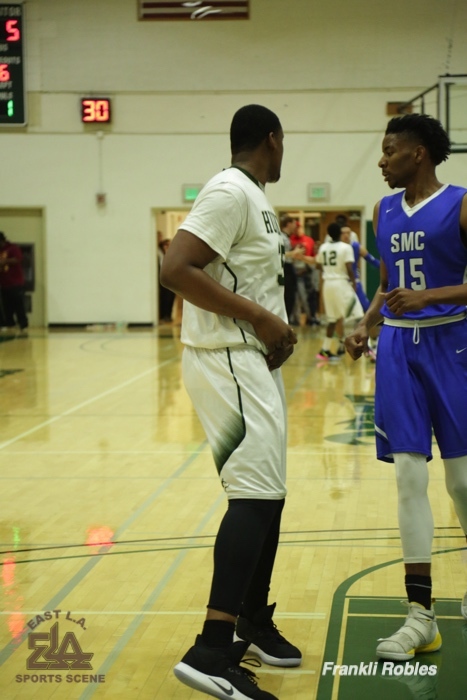 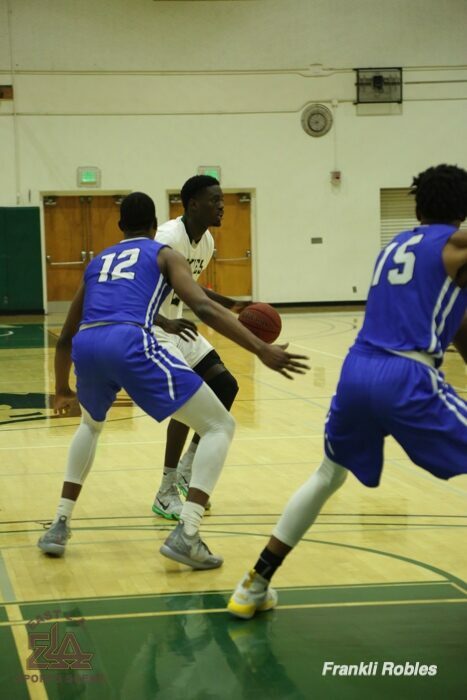 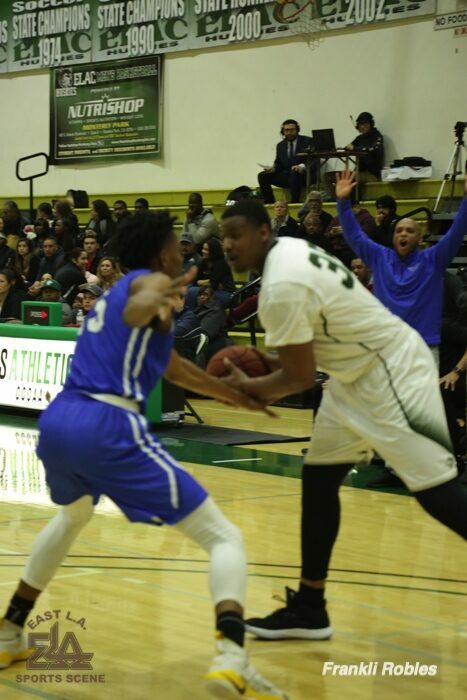 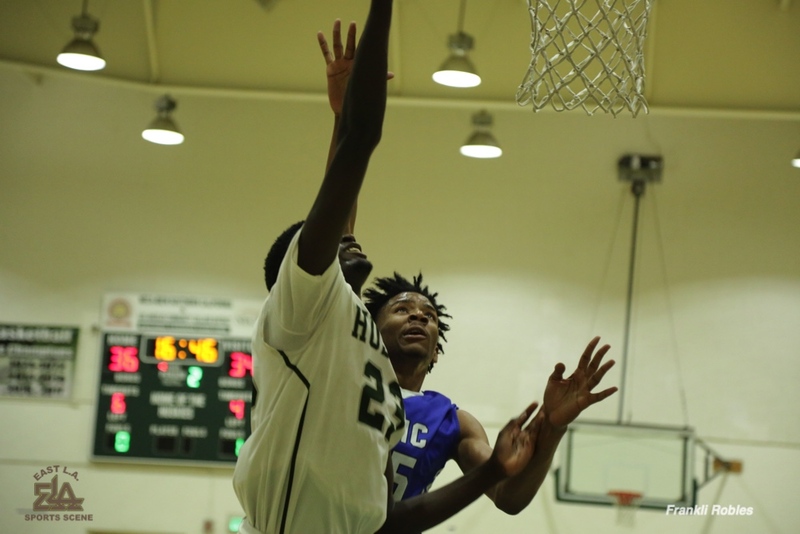 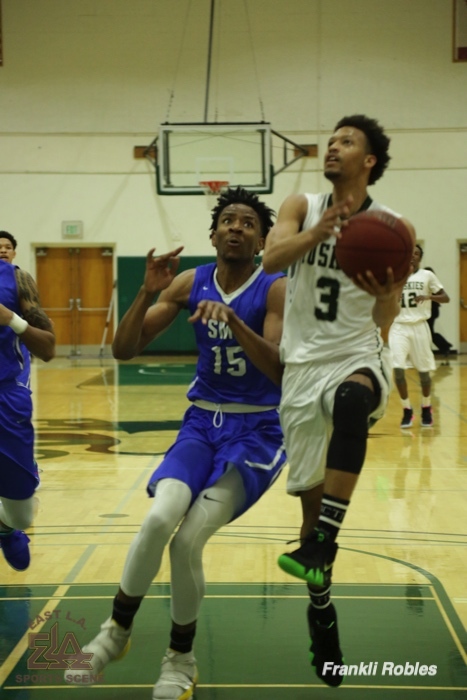 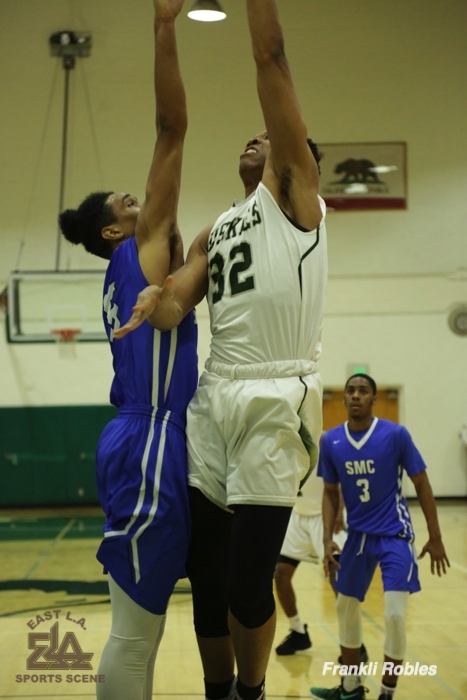 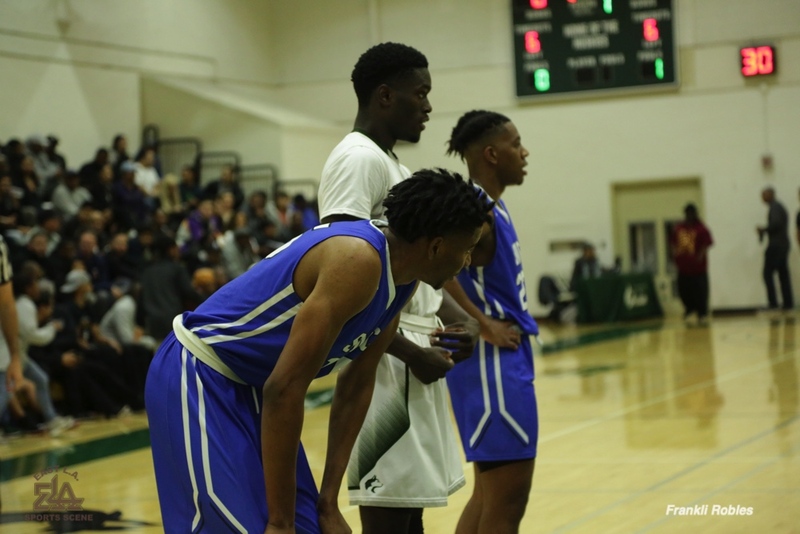 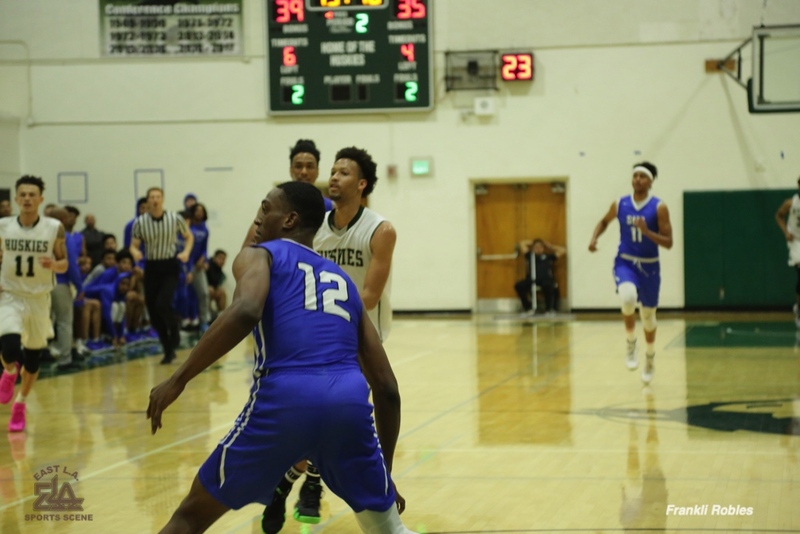 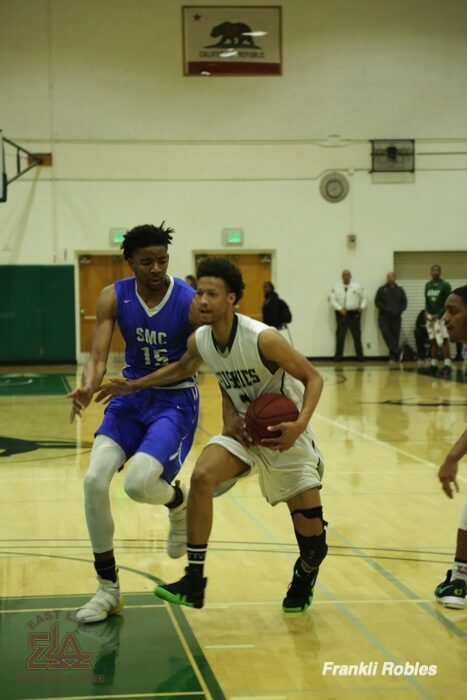 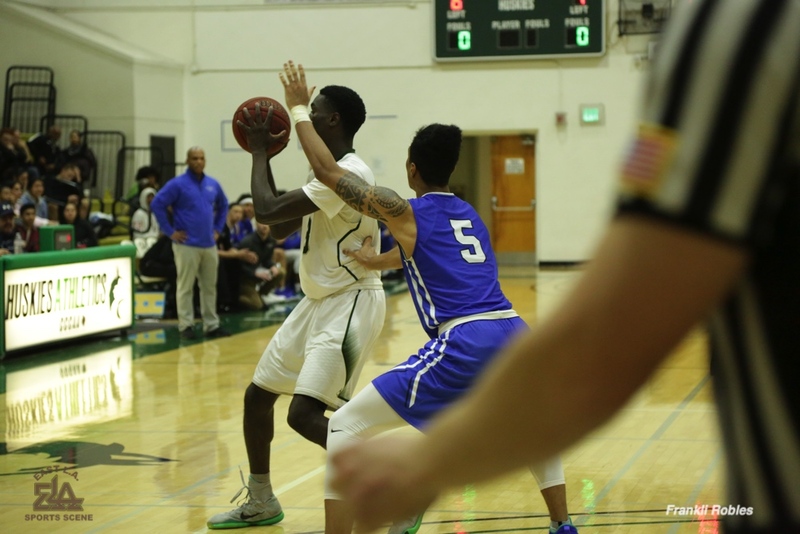 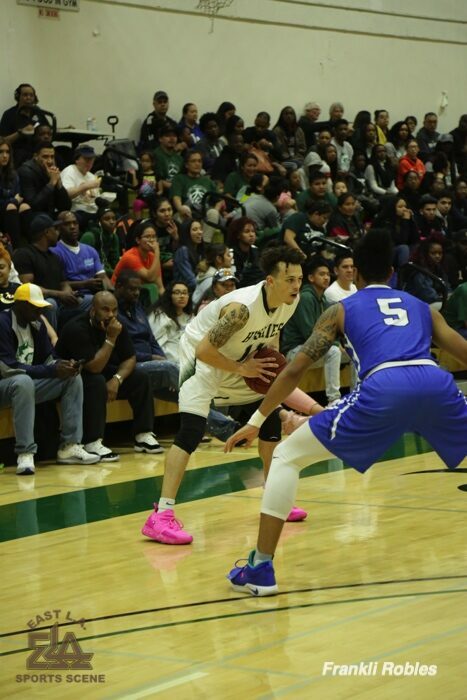 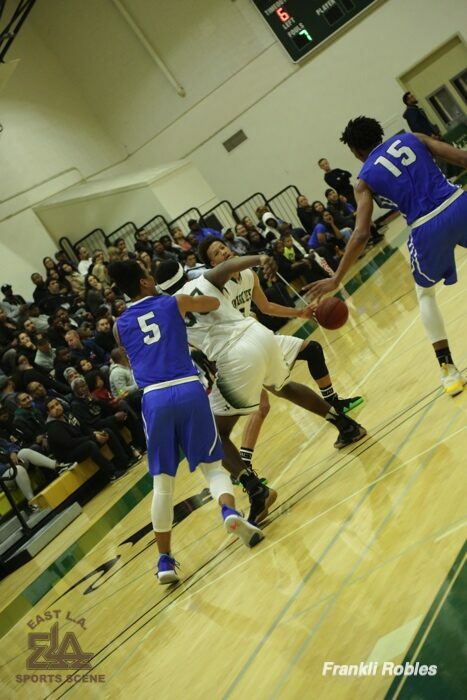 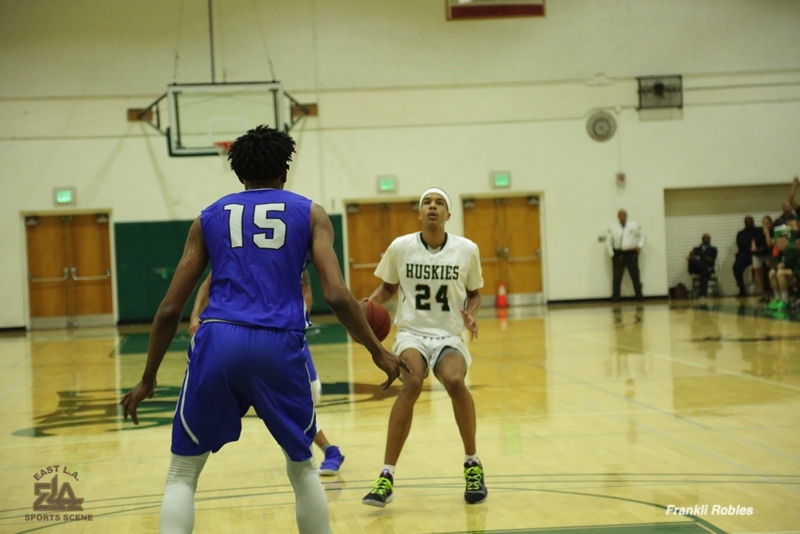 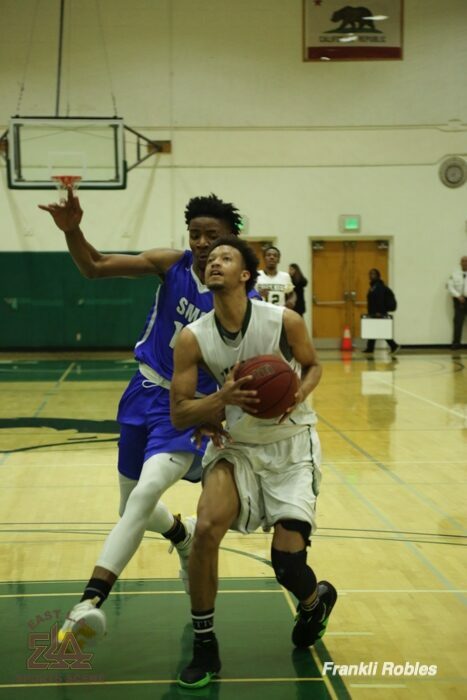 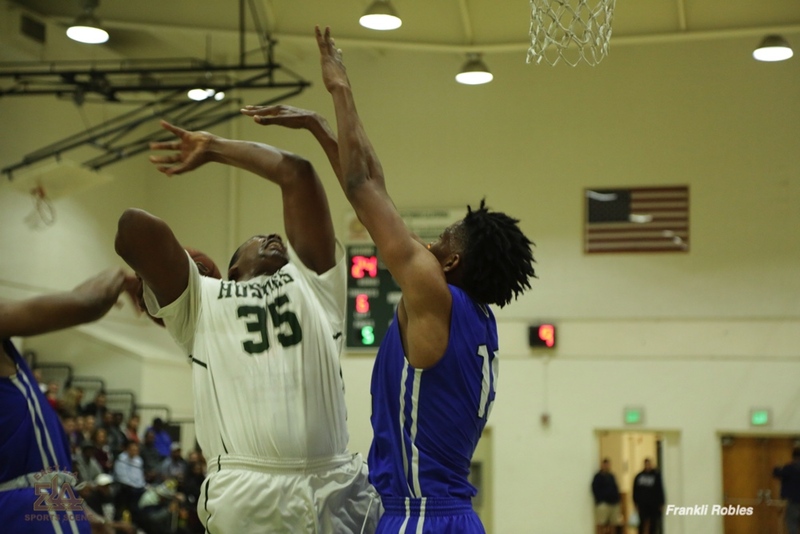 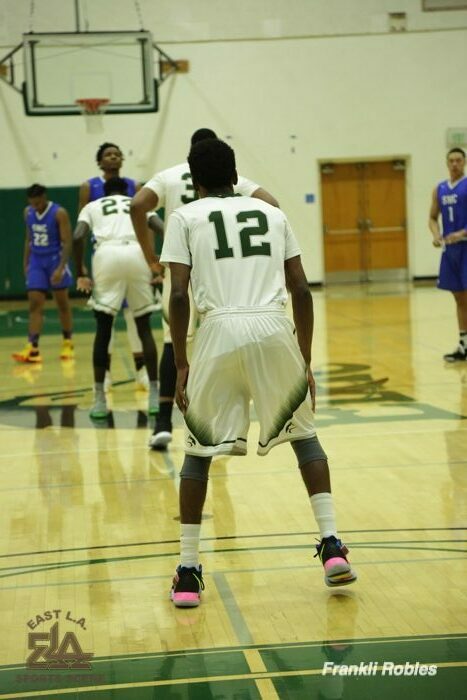 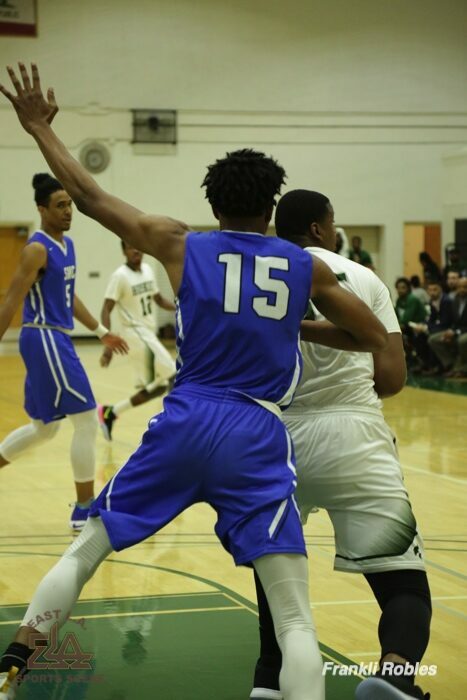 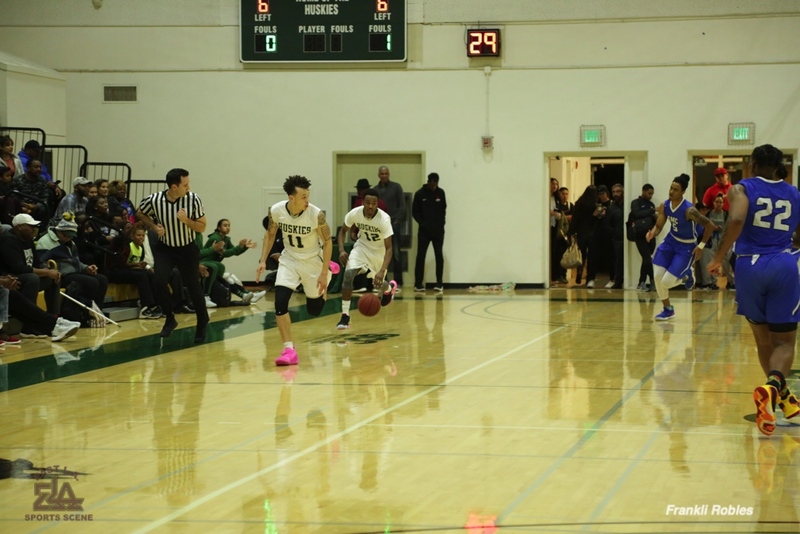 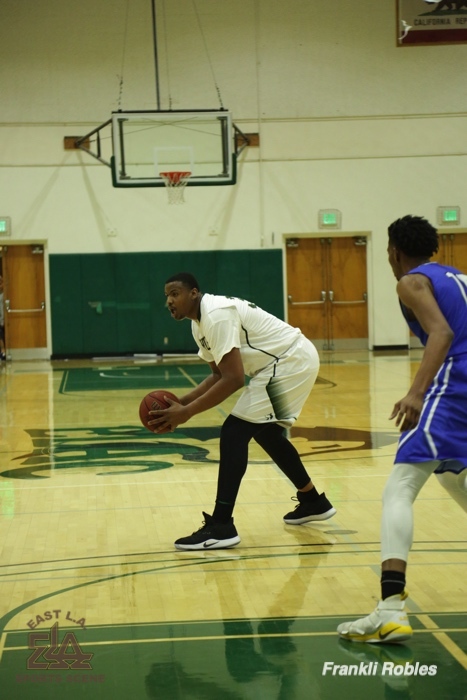 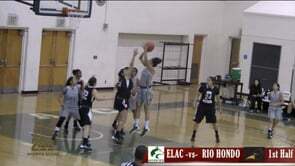 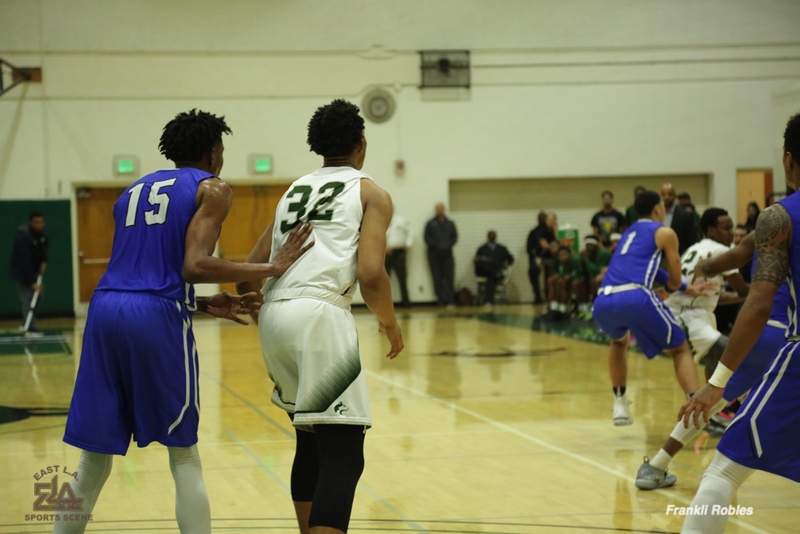 ELAC Individual Game Stat-Line: Alec Hickman/10 pts/2 rebs/2 assts/1 stl; Darius Henderson/4 pts/4 rebs/1 stl/1 asst; Solomon Hunt/9 pts/3 blks/2 assts; Babakar Thiombane/9 pts/3 rebs/1 blk/1 asst/1 stl; Malik Muhammad/9 pts/9 rebs/2 blks; DeShaun Highler & Levelle Zeigler/6 pts each; Rodney Agee/5 pts/2 rebs; & Jermaine Small-Camacho/2 pts./1 reb.